The Future of Work will be confronted and enabled by new technologies, and both employees and employers will need to learn to adapt and embrace a mindset of continual learning and application. 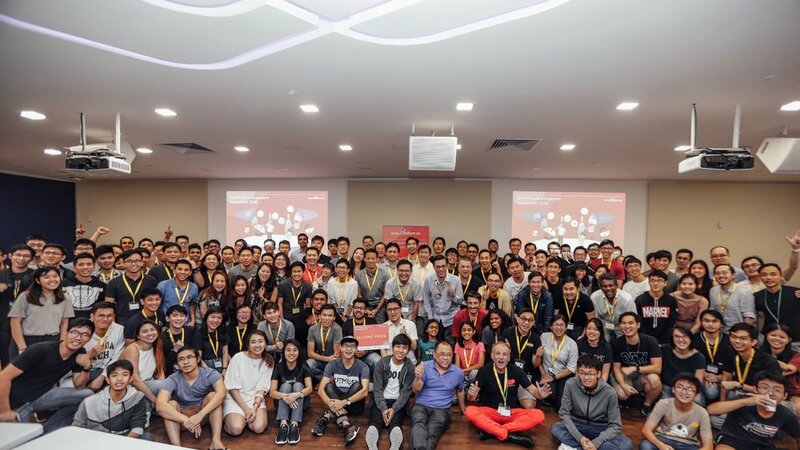 To address this, we partnered with SkillsFuture Singapore to organise the SkillsFuture Singapore Hackathon 2018 from 19 to 20 May. In the end, eight different teams stood out and took home cash prizes from a pool of more than $12,500. Most importantly, we saw viable solutions being created over one weekend, that addressed the challenges well. You can check out the winning ideas here. “Team Fixerr was a team of friends who were all competitive, passionate learners in our own right. We felt that the support we got for our professional development in our respective fields was inadequate, so when we heard about the SSG Hackathon from the UP Singapore Facebook page, we decided to spend the weekend to have a crack at the problem. “Before the Hackathon, we were already reaching out to our friends, family and professional networks to get a better context of the possible pain points we could work on. A special shout out to a community of HR and Finance professionals who shared their real-world insights based on their decades of professional experience. “By Saturday morning, we already had a rough idea of how our various expertise could come together to form a solution that solves significant, real life problems for individual employees and their companies. After a brainstorming session in the LEVEL3 ball pit to lock things down (and entertaining the idea of being called Team Baller), it was full steam ahead! “Our solution wanted to solve the informal learning deficit by internalising the gig economy through a work-to-learn marketplace. We observed a disconnect between project teams requiring digital capabilities but lacking competency, and employees who wish to learn but lack intra-company opportunities. This seemed to be driven by trends we could bet on in the long term, the increasing demand for tech skills, and the increasing drive for career progression outside the confines of conventional work. “The core of this idea stuck, even as we changed things like the personas of the marketplace roles. Further, during the Mentor Consultation Session, we got to speak to Mr Richard Lee, Director of the Capability Development Division at SkillsFuture Singapore, who gave us solid advice, leading to our main pivot point — keeping the marketplace internal to a corporate rather than have a decentralised platform powered by blockchain. This way, we avoided the scaling issues it posed. Richard spoke from his experience exploring Blockchain with SSG and the questions he had to answer when he proposed to solve problems with it. “Going into the first phase of judging at Sunday morning’s Pitch Selection Rounds, we were anxious, since there was a chance we would not make it to The Final 25. We thought we had a solid idea, and we decided the best would do was to refine our presentation. Thankfully, we made it through to the final presentations, with good feedback from Adam Lyle of Padang & Co to focus on our idea and keep it simple. “Finally, it was time for the Final Presentations. We itched a very clean and lean deck of slides, condensing a lot of thought into the three minutes provided. Even though we did not win any of the prizes, we learned so much from the other teams — the bold and crazy ideas they came up with, how they executed their prototypes, and how they presented their solutions. “Moving forward, we’re all very enthusiastic for the next UP Singapore Hackathon and some of us even want to develop this idea further! We’re glad Team Fixerr had a great time at the SkillsFuture Singapore Hackathon 2018. We appreciate their enthusiasm and welcome them to the UP Singapore Community! Our hackathons are always geared toward making Singapore a smarter, more sustainable, and more livable place. Check out the UP Singapore website and subscribe to our newsletter for more information on our upcoming events!